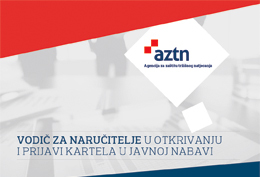 The Croatian Competition Agency found that the Croatian re-seller PLODINE d.d. used its strong bargaining power and imposed unfair trading practices on the supplier of fresh meat EKRO BV from the Netherlands within the meaning of the Croatian Act on the prohibition of unfair trading practices in the business-to-business food supply chain (UTPs Act). The fine amounts to HRK 1.008 million. The Croatian Competition Agency opened an ex-officio infringement proceeding with the view to establishing whether the company Coca-Cola HBC Hrvatska d.o.o. from Zagreb had concluded a prohibited agreement and had been engaged in abusive practices within the meaning of the Competition Act. On 4 March 2019 the Croatian Competition Agency dismissed the initiative of A1 regarding the concentration between Hrvatski Telekom and HP Produkcija with respect to the EVO TV business due to the fact that the turnover thresholds for the initiation of the compatibility assessment proceeding in line with the Competition Act in this particular case have not been satisfied nor has the notification obligation been regulated under any specific rules. Please report any form of distortion of competition. Prior to the implementation of a concentration it is obligatory to notify the concentration to the CCA for assessment of its compatibility with the internal market. Cartel is considered the most serious infringement of competition rules. By definition, a cartel is an agreement entered into between competing undertakings. Report a cartel to the CCA.